I am pleased to present the middle grade novel, The Voice of Thunder, by Mirka Breen, who is a member of my picture book critique group. A little about Mirka will help the reader to understand the place from where this book comes. Mirka was raised in Jerusalem, Israel. As a 10-year-old fifth grader, she lived through the Six-Day War in 1967. Her book does not glorify the war. It is this time in Israel’s history that Mirka calls on her memory to write about. Her two protagonists, Mira and Gili, fifth graders who live in the same apartment building, experience some of the same fears and discomforts that Mirka did. They are fictional characters who have their own stories. Each girl reacts to the verbal threats differently. Gili is exuberant, fearless, and a little fresh. Her home life is more settled and nourishing than Mira’s. She talks back to the radio voice with defiance. Mira is fearful and a bit nervous. Her father no longer lives at home because he cannot erase the terrors he experienced in Poland during the reign of the Nazis, and her mother is gone much of the time working. Ominous though the story is, there are touches of humor. Mira has certain comforts such as smelling a strand of her own hair and writing in her diary, which she addresses as “Dear, Navel,” acknowledging that she is really talking to herself. She collects discarded toys. Mira has a secret, which she shares with Gili. An old oak tree in an abandoned yard is a good place to hide little pieces of paper with wishes. Mira is convinced that the two wishes she put there came true. Later, Gili also makes a wish there. At school, the students were put through safety drills. But when the war comes, Mira knows it is the real thing. “The loud explosions were never part of any drill, and the shaking they caused made her unsteady.” Spending several days and nights in the basement shelter was stuffy, smelly, and unpleasant. 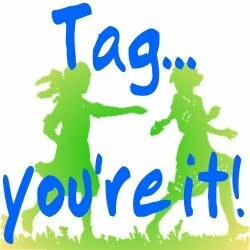 Mira and Gili head a cast of characters who each shine a different spotlight on the many aspects of war and its effect on those involved–from Gili’s very talkative aunt to the batty neighbor to Teacher Edna to the parents of the girls. Mrs. Breen does not pull her punches when it comes to the way in which war can disrupt lives. Sometimes it even corrupts the innocent. Gili’s Uncle Asher, who joined the army to defend his country, brings Gili a doll that he took from an abandoned Arab home. That makes Gili uncomfortable. 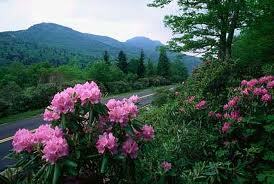 Other philosophical topics are touched on through the questions and thoughts of the two girls. Can the madness of war and hatred be “fixed?” What constitutes bravery? How does one deal with the spoils of war? How can you tell if God is on your side? Finally, Mira and Gili and their families visit the Wailing Wall with their wishes and prayers written on little pieces of paper to slip into the cracks of the stones. The girls no longer had to put their notes in the cracks of the oak tree (well, it got blown down in the war, anyway). I have a feeling their wishes came true: Gili’s to someday find the Arab girl who really owns the doll and Mira’s that her dad will come home to stay forever. The cover artist, Amie McCracken, captured the spirit of the book by depicting pages that could have come from Mira’s diary along with the photograph (actually one taken by Mirka’s mother, Binah Golek) of two girls looking over a Jerusalem wall. 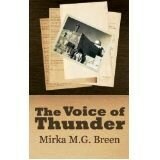 Mirka, it has been a pleasure for me to showcase your middle grade novel, The Voice of Thunder.